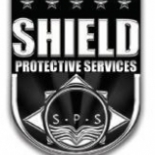 Lawrence Ave. E & Victoria Ave.
Shield Protection Services, A Well-known, Premier Security Company, Is Providing Security Services To A Variety Of Companies And Corporations Within The Greater Toronto Area. Shield Protection Services Offers Highly Qualified Security Knowledge And Well-honed Customer Service Skills Required In Today’s Multi-faceted Security Marketplace. With Our Extensive Experience, We Have Protected People And Property For Public And Private Sector Clients. Our Guards Are Professionally, Well-trained And Supported With Vital Tasks Of Deterrence And Intervention When Required. The Primary Mandate Of Our Services Is To Protect The Assets Of Our Clients While Ensuring The Safety Of Employees, Visitors And The General Public. Your Employees, Customers, And Residents Will Simply Feel Better And More Assured With Shield Protection Services On The Premises. Shield Protection Services Is The Most Effective Option In Environments Where Real Security Liabilities Exist And When The Job Must Be Done Effectively And Efficiently. We Believe Our Integrated Services Have Been The Key To Our Success In Building Strong, Lasting Relationships With You. We Are Looking Forward To Be A Partnership With You, And Consider It A Privilege To Serve You. Shield Protection Services in Toronto is a company that specializes in Computer Related Services, Nec. Our records show it was established in Ontario.